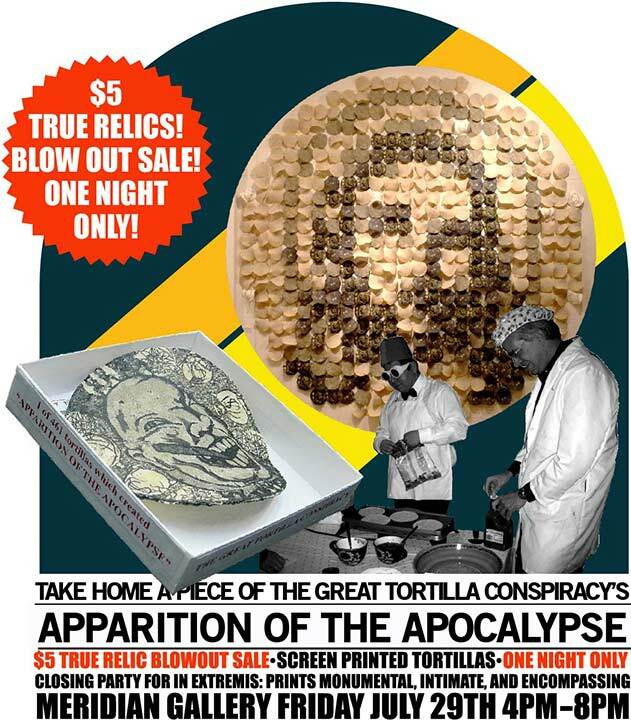 The Great Tortilla Conspiracy will print and serve (arguably) delicious edible artwork. Imin Yeh will print with her portable printing cart, in a printer’s costume that tastefully (inarguably) matches her installation. Meridian Interns will show their newfound linocut printing skills on an historic press. And a rare special Northern California appearance by Yumiko. The last day to see the exhibit is July 30.